1887: "Speed of light is Constant"
1887 in "The American Journal of Science"
combining these two lights together. increases but if we wish to move the opposite way, the speed decreases. any change in speed because it's travelling in the north direction. does not change its speed. It is always constant - it does not change. to each other? Answer: 55 mph. Too simple. about 299 792 458 meter/second. Confusing?! Yes. 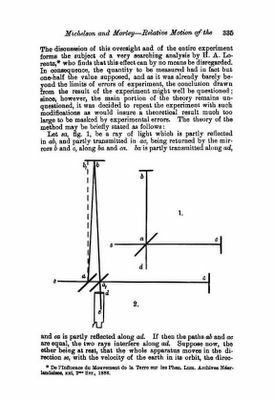 In 1900 many physicists were as confused as you are. needed to be cured !